Australia’s most famous literary magazine, Meanjin, is again about to lose its editor and the magazine, which was once described as having put Melbourne University on the map, looks like being forced to go online in a way that will effectively kill it. No one who cares about the literary and intellectual history of this nation wants this to disappear into the evanescence of the internet. They have to preserve Meanjin as a magazine a kid might pick up in a library or a punter might see in a book shop. Anything else will be barbarism. Funny, I thought a ‘kid’ could ‘pick up’ or indeed read online works in any library or from a library website, or go to any online bookshop. People are quaint. But essentially by stating that Meanjin will disappear if it goes online, he is saying that it is not a journal capable of competing for readers in a real marketplace. And realistically of course Meanjin is already not competing successfully as a print publication, which is why presumably MUP want to cost cut and obviate the dead tree distribution system. One thing which is often missed with prestige journals such as this, is that they actually rely on libraries to continue to exist in the first place. Probably something over 200 copies are bought by libraries in Australia and few more from libraries overseas. I would think this would be probably a fair proportion of sales. I think libraries might like to have a cheaper online version if possible, as most of them are not as tied to paper as some people. See all the videos from the Ontario Library Association on how to assist library users with diverse needs and accessibility isues. Google which has been blamed by some old media proprietors for destroying newspapers is now donating US$5 million to support journalism initiatives around the world. Hopefully some of this will find its way to citizen journalism. Of course Google hasn’t really killed any newspapers. Where newspapers have closed overseas is because they did not attract readers. Google, is many things, but is mainly a search engine and merely takes teaser text and aggregates it, so that you can easily find news articles and links to those article on the news source it is on. And by so doing actually drives users to newspaper or other news media websites. What will kill newspapers online and in paper is continuing to try and use old and now failed business models. The paywall erected by News Corp for The Times and Sunday Times Online (and other titles) was an attempt to move away from the free culture of the web. News Corp won’t say how many subscribers they now have to their newspapers but estimates say their readership figures have dropped by over 88%. The print subscribers to these newspapers also get access to the online version, so they would make up a significant proportion of the readership. Otherwise institutional subscribers (which would have a large number of readers at work for whom the newspapers are seemingly free) would most likely make up the rest of the readership. Whether this is a sustainable model we are still yet to see. Microsoft announces a further $1 million to go towards Gov2.0 initiatives. … following further discussion with the Australian Government Information Management Office, Microsoft has made available to the Federal Government $1 million to support the further development of tools and processes to enable the culture of Government 2.0 to be realised across the Federal Public Service. The $1 million has been provided without condition and Microsoft has neither requested nor expects to receive any reconciliation of the use of these funds. Any libraries out there thinking about ways to improve the flow of government information to the governed? Is a library with no librarians still a library? Faced with funding cuts, reduced staff numbers and minimised opening hours, the library powers that be are forced to ask the question – how can we still provide services, and items, to our clients? The answer to the problem may include the provision of library vending machines that are capable of dispensing items from the library’s collection to clients in locations other than the library and keeping them secure until the client comes to collect them. 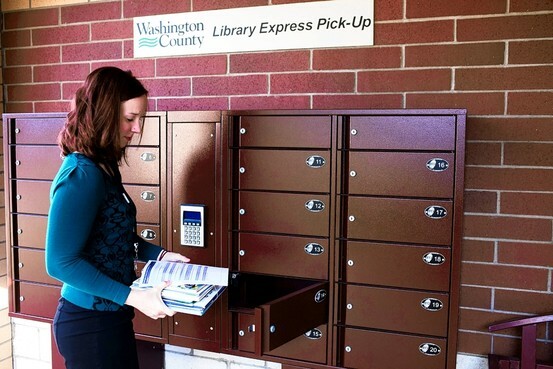 Enter the world of the library vending machine, book locker and public information kiosk where clients can select, request and borrow items from the collection, or do a little bit of research and even access remote databases. Seem farfetched? A number of libraries in the US are already making this concept a reality. The library vending machine concept offers libraries a way to expand their reach further into additional locations where their clients are – such as malls and bus, train or ferry stations – and extend their services beyond the physical closing time of the library branch. 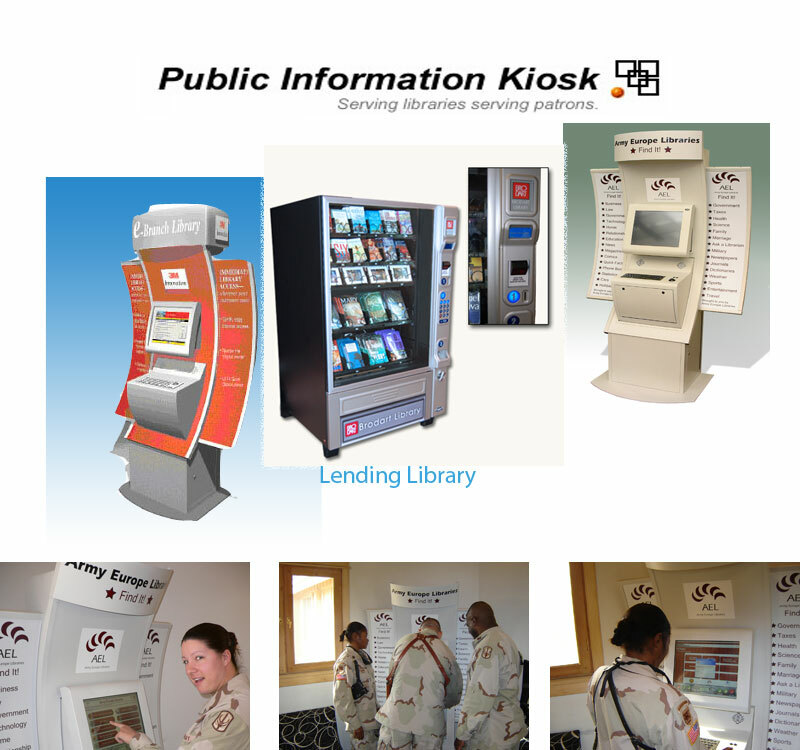 Public Information Kiosk Inc. manufactures a range of library vending machines with varying features including touch screens and secure telephones, internet connection and database access. Library vending machines from the Public Information Kiosk Inc. The ability of libraries to service the needs of their community with dwindling resources is a constant challenge for many libraries. Libraries need to make the most of what resources they do have and the library vending machine may go some way in addressing that need. The website of the Office of the Australian Information Commissioner has just appeared, in advance of the official commencement of the Commissioner, Professor John McMillan AO, on 1 November. government information policy functions, conferred on the Australian Information Commissioner under the Australian Information Commissioner Act 2010 (see the Information policy ). The last policy management area is one which will be well worth watching. The moves towards increasing openness and transparency, instituting Gov2.0 and improving IP policy in the public service is setting a great agenda for good governance.